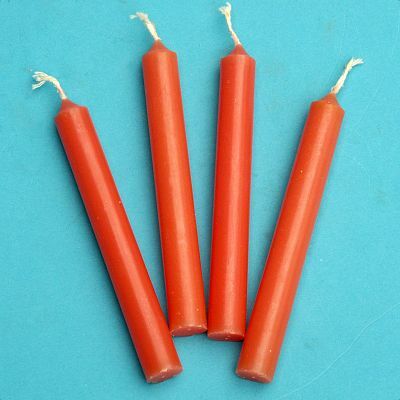 - Set of 4 orange candles. In candle magic, the color orange is a color of vitality and change, and sometimes physical exertion. Use orange candles when you want to increase your energy and focus it where it is needed to move forward. Orange candles are said to attract the objects and influences you need in your life. Approximately 1/2" in diameter by 4" long. Do you have any other questions about our Orange Candles - set of 4 mini candles?